Katrin qualified as a multilingual assistant from the “Euroschulen Organisation Trier”, Germany. She began working as a legal assistant in 2008 in another well-respected law firm in Luxembourg and has been with M&S since 2013. Katrin is always on hand to help both lawyers and clients to ensure that their needs are met.  She prides herself in helping M&S as a whole provide the best possible legal services. Katrin speaks German, Luxembourgish, French and English.